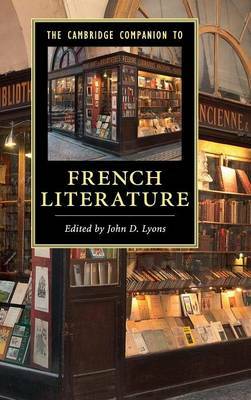 In this authoritative and accessible account of French literature, sixteen essays by leading specialists offer provocative insights into French literary culture, its genres, movements, themes, and historic turning points, including the cultural and linguistic challenges of today's multi-ethnic France. The French have, over the centuries, invented and reinvented writing, from the Arthurian romances of Chrétien de Troyes to Montaigne's Essays, which gave the world a new literary form and a new standard for writing about personal thought and experience; from the highly polished tragedies of French classicism to the satirical novels of the Enlightenment; from Proust's explorations of social and sexual mores to the 'New Novel' of the late twentieth century; and from Baudelaire's urban poetry to today's poetic experiments with sound and typography. The broad scope of this Companion, which goes beyond individual authors or periods, enables a deeper appreciation for the distinctive literature of France.